Specialising in dynamic, reliable and affordable mobility lifts for Sussex. Custom designs to fit all types of residential and commercial properties across the board, Tower Lifts takes pride in designing and delivering bespoke wheelchair lifts for all purposes. With unrivalled experience and expertise in all aspects of lift design, manufacture, installation and maintenance, Tower Lifts represents a new standard in mobility lift solutions for Sussex. By designing and manufacturing disabled transportation solutions from scratch, we can provide innovative lifts to suit all purposes and buildings across the board. 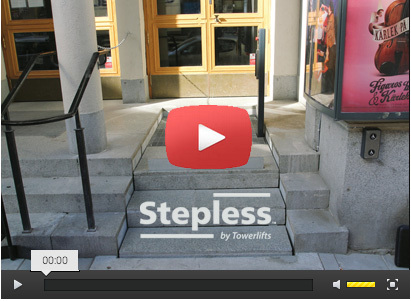 Our stepless platform lifts represent one of our most popular transportations solutions, providing comprehensively capable yet uniquely discreet elevation for internal and external use alike. An excellent choice for those looking to maximise accessibility, without affecting the aesthetic of the premises. We understand and acknowledge the fact that requirements and expectations differ significantly from one client to the next. Which is why Tower Lifts takes a uniquely proactive and accommodating approach to the design and installation of mobility lifts. Extensive consultations help determine the requirements of our clients and their premises, after which bespoke transportations solutions are designed from scratch. Our extensive product catalogue features a wide variety of options to suit all purposes and pockets across the board. If unsure as to which represents the best option for you, our team will be happy to answer any of your questions or address any of your concerns. Since going into business, we’ve built our reputation on designing and installing wheelchair lifts of an entirely higher calibre. Dynamic and designed to meet the requirements of each customer individually, our vertical transport solutions have the potential to transform the accessibility of any building. Whether looking to enhance your home’s accessibility or ensure that your business or commercial premises meet the requirements of the DDA (Disability Discrimination Act) while complying with Part ‘M’ of official Building Regulations, the Tower Lifts team is standing by to help. To learn more about any of our mobility lift solutions for Sussex or to discuss your requirements in more detail, get in touch with a member of the Tower Lifts customer service team today. If you would like to find out more about our mobility lift services in Kent, speak to our helpful and friendly customer service team today. Having worked with clients across Sussex for more than 15 years now, we know exactly what it takes to perform above and beyond expectations. 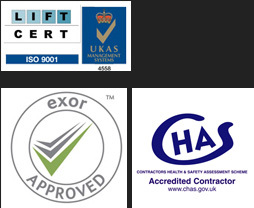 We believe that the very best mobility lifts for Sussex should not be viewed as ‘add-ons’ to the premises in which they are installed. Instead, we prefer to create dynamic and innovative solutions that integrate seamlessly with the building as a whole. The total package of elegance, performance and unrivalled accessibility. For more information on any of our products or to discuss your own requirements in more detail, get in touch with a member of the Tower Lifts customer service team today.